Please complete the form below to become a volunteer for Meals On Wheels of Tarrant County. Note that this form is ONLY for Texas volunteers in Tarrant County. If you want to volunteer for another Meals On Wheels organization, please locate the Meals On Wheels agency nearest to you via the Meals On Wheels Association of America. If volunteering for meal delivery, please indicate area(s) in Tarrant County, Texas in which you would consider helping to deliver meals. Your help is needed to deliver meals to homebound residents in your neighborhood one day a week, Monday through Friday. Individual and group opportunities are available. You can become a friend to a homebound, elderly or disabled client in your neighborhood by making weekly home visits at your convenience. Meals On Wheels, Inc. of Tarrant County has special events throughout the year that raise funds for our home-delivered meals. Casino Night, Legends Luncheon, and the Golf Classic, are staffed by volunteers to plan, organize, and run the events. 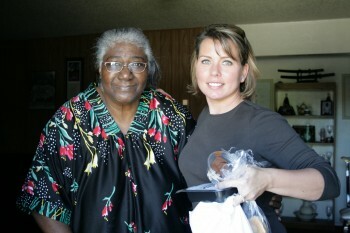 Many of our clients are isolated socially and depend on Meals On Wheels, Inc. of Tarrant County for additional services. Volunteers in our Client Services program directly enhance the life of these clients. Be on call to help with office mailings, staff a booth for community volunteer and health fairs, and contribute to other special projects.